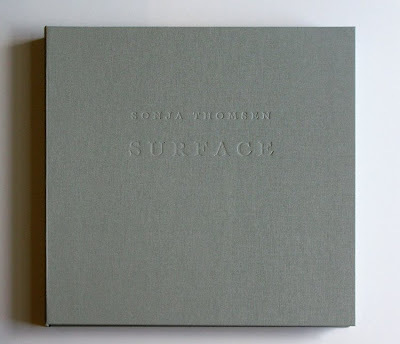 This is a limited edition box-set of images from Sonja Thomsen called Surface. 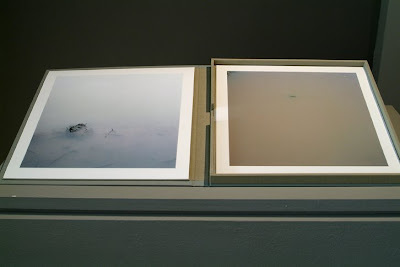 It is an interesting hybrid of a book and a portfolio in a very limited edition of 10 + 1 artist proof. 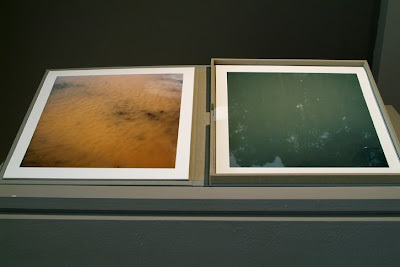 Surface (2004-2006) is a series of photographs that explore the potential of water and the seductiveness of looking. 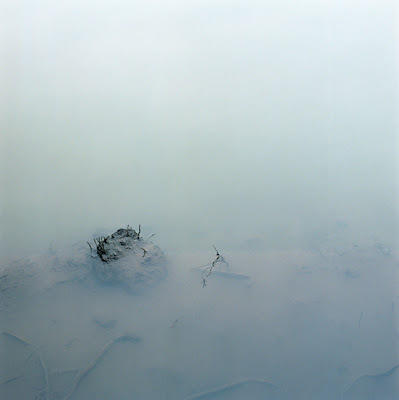 Small puddles of water become glass, dense fog, toxic haze, bodily fluid, and primordial soup in my viewfinder. The unfathomable potential of water to sustain life is a phenomenon that preoccupies me. 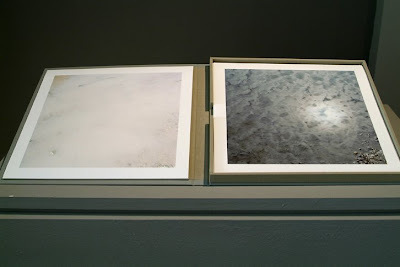 A limited edition box set with twelve 12" sq pigment prints in a clam shell box. 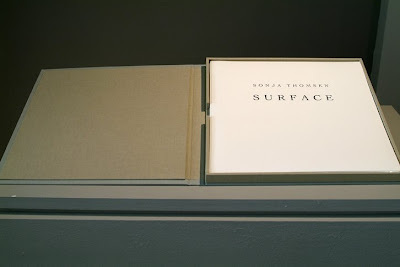 An introduction written by Lisa Hostetler, curator of photography at the Milwaukee Art Museum, accompanies the piece. 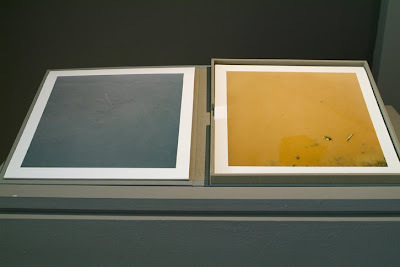 It was recommended to me by Mel Trittin, who is known for having some nice stuff in her collection, unfortunately this one isn't in mine, but it could be in yours. 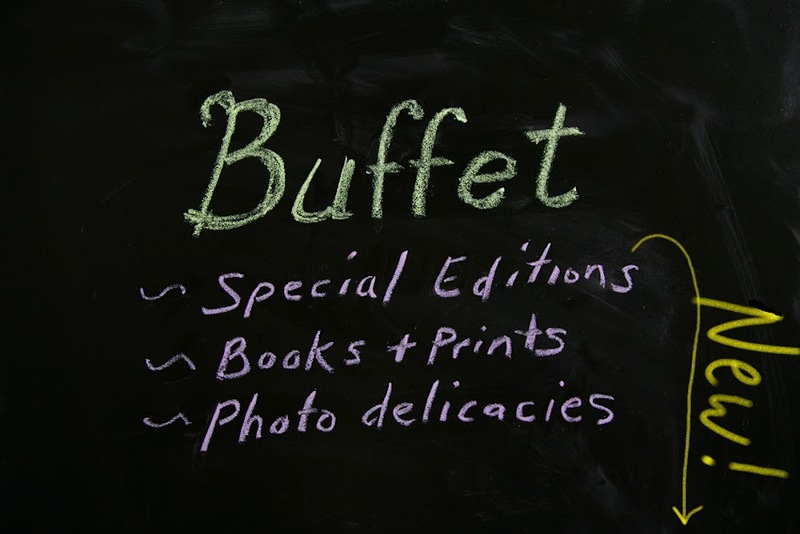 I have found out about it quite late, so there are only 3 left, hence a slightly higher price than what you might be used to on the Buffet table, but maybe its for you.